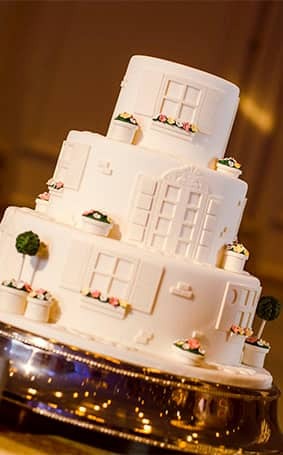 Have you ever seen a photo of a wedding cake and wished it was just a little bit smaller or a whole lot bigger? 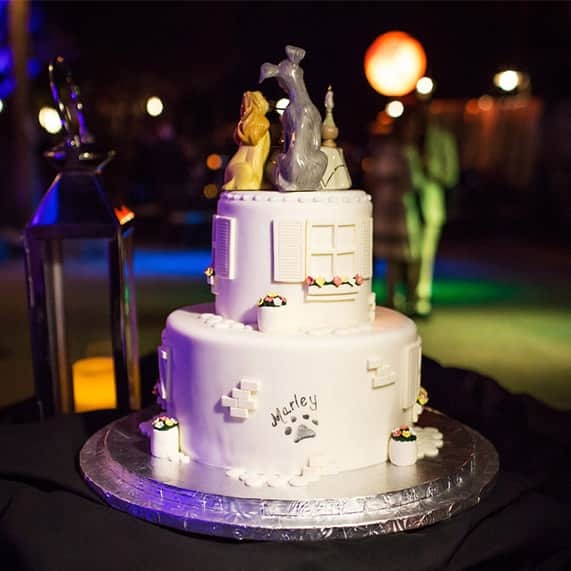 Well here at Disney's Fairy Tale Weddings & Honeymoons our talented pastry chefs create pastry perfection on the daily by adjusting cake styles to fit both your guest count and vision for your big day. 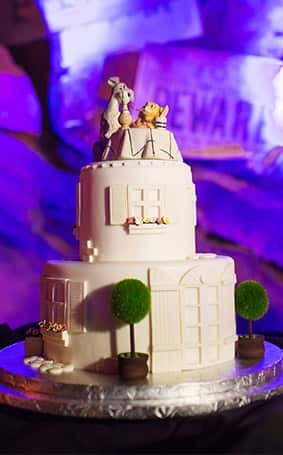 In fact, our team took an amazing two tier cake from a recent Walt Disney World wedding (inspired by Lady and the Tramp!) and transformed it into a three tier stunner for our 2015 Disney's Fairy Tale Weddings Showcase.